The couple found their house partially demolished for the construction of a road. On August 31, a couple in Russia returned home from their work in a neighbouring city only to find their home partially demolished and a road running through it. 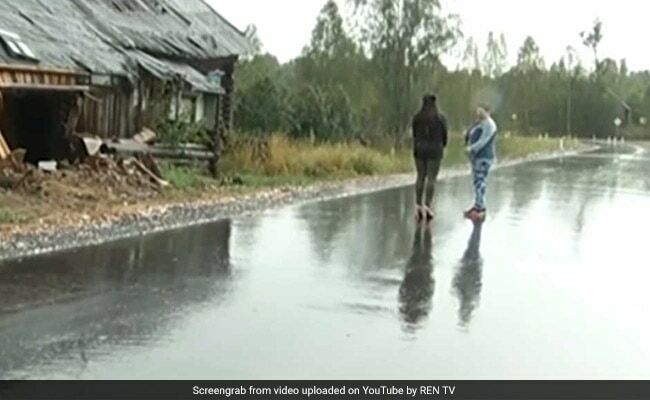 A video on REN TV show the couple standing on the said road, next to what used to be their house in the Zavod Voskresensky district of Russia. The owners did not live in the house permanently, which is just as well, considering that the construction of a road left it unfit for inhabitation. According to RIA Novosti, the owners were not informed that a road was going to be constructed through their house, and haven't received any compensation yet. Though local authorities first said that no-one had demolished the house, they soon went back on their statement after one of the owners, Valeria Udalova, showed up at their offices carrying ownership documents, reports the BBC. Ms Udalova plans to camp in the middle of the road until the dispute is resolved.